The ResQU2 Project Platform is one of the six project platforms approved by the Interreg BSR Programme Monitoring Committee in June 2018 in Tallinn. It is the only platform handling maritime safety. The ResQU2 is a consortium of ten partners representing four different projects handling preparedness and rescue operations. The project platform is a new kind of a project improving the durability and capitalisation of the results of already existing projects. The ResQU2 Project Platform comprises the core partners of ChemSAR, HAZARD, DiveSMART Baltic and Mirg-Ex projects and together they aim to enhance the durability of their results, such as learning experiences gained on guidelines, operational plans and procedures, and exercises related to incidents at sea and in ports. The main activity will be to disseminate these learning experiences to rescue authorities and services, professionals, and decision makers on local, regional, transnational, and EU level. 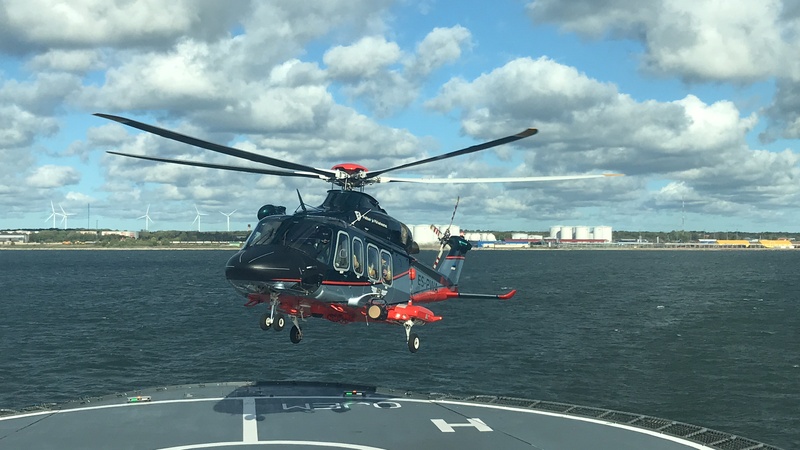 As the nature of incidents at the Baltic Sea often concern several countries and their rescue services and authorities, it is essential to plan and practice the procedures in advance in transnational contexts. The platform as such complements the currently existing transnational cooperation in its field by disseminating its expertise gained on handling maritime incidents and insight for executing large scale international exercises. The main results of the ResQU2 will be increased emergency preparedness, and enhanced knowledge and capacity of the rescue authorities, actors and decision makers as well as stronger transnational and international cooperation. In practice: more safe and efficient rescue operations and more lives saved at our seas. ResQU2 partners come from eight countries, namely from Estonia, Finland, Germany, Latvia, Lithuania, Poland, Sweden, and The Netherlands. They are in the key role in their respective projects: three Interreg BSR projects, ChemSAR, HAZARD and DiveSMART Baltic, all of which are EUSBSR Flagship projects (PA SAFE and PA SECURE), and the MIRG-Ex project funded by DG ECHO. In addition to regular partners, the platform is supported by five organisations: EUSBSR Policy Area Secure (PA SECURE) having office in Sweden, EUSBSR Policy Area on Maritime Safety and Security (PA SAFE), Denmark and Finland, Federation of the European Union Fire Officer Associations (FEU), Luxembourg, Estonian Rescue Board, and Polish Maritime Search and Rescue Service. The international platform consortium gives a good starting point and an excellent opportunity to spread the experiences gained, and solutions and procedures developed to target groups and end-users throughout the Baltic and North Sea regions. The ResQU2 Project Platform will be ready to start on 30 – 31 October when its Kick-off meeting takes place in Turku, Finland. There all involved projects, partners, and even some of the supporting organisations will meet for the first time to discuss the Platform face-to-face and plan the coming ResQU2 activities and events in more detail.